Just like roofs, trusses are multifarious regarding shape and function. At the present moment, the presence of truss is stressed out based on the safety reason. There are numerous types of trusses available in the home design market. Picking out the right truss is such an elementary step to avoid bad possibilities for your house. As we know that the pieces play an important role in supporting your roofing system. In the grand scheme of things, the truss is a type of robust structure comprising some triangle-shaped units. It highly promotes stability and the strength of the upper parts of your building. It eventually forms a system that looks like a web allowing the triangular pieces to be joined. In other works, truss refers to a structure of framework of which function is distributing the load throughout triangles. 2. The Main Uses of Trusses! Trusses have some advantages. Not only are they considered the most economical material, but the objects own an incredible power to hold up heavy structures. The access to the whole structure is nothing but trouble-free with the trusses. After the preliminary construction, you will find the maintenance of the structure way easier. They help the interrelated elements with lighter weight span with a distance reaching up to 35 meters. The one that’s pretty popular in the world of construction is the wooden variety. It is available in the housing industry around the globe as a piece can carry ceiling structure sturdily. 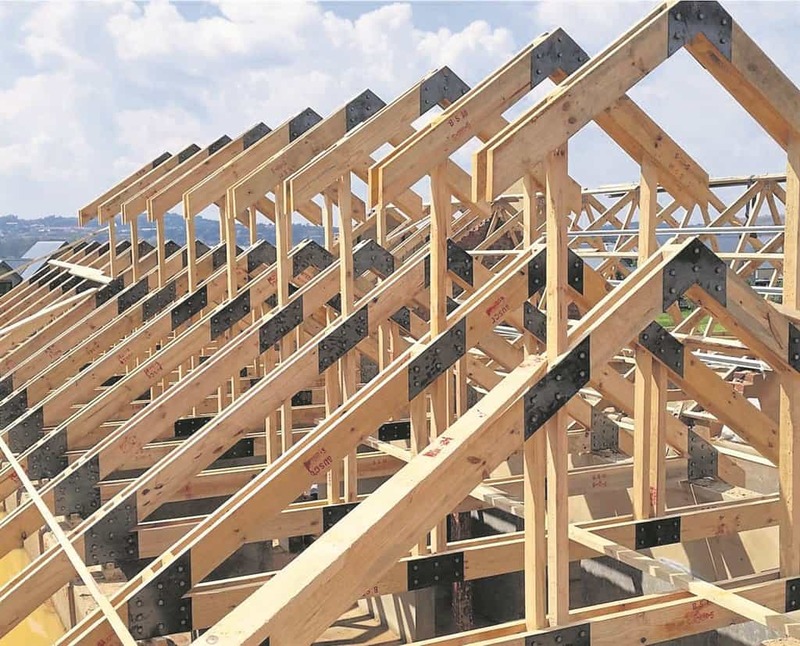 Trusses made up of wood material are way more efficient compared to others. They can easily and quickly be built on the site. The material used to create an outstanding structure comprising trusses doesn’t cost an arm and a leg. That’s why they become favorite among homeowners. On the whole, there are two common types of trusses – simple and planar. Simple truss made of a single triangle is frequently applied in construction with lighter roofs. It effectively supports the ceiling structure of your home. It turns out that simple truss has been used in the contemporary bicycle design. It strengthens the metal frame in a bicycle. Planar comes into sight when more truss triangles are connected. This type is often applied in the construction of bridges and buildings. Many architects and engineers have invented multiple varieties with modern specification – apart from the common types of trusses. The devices with modern approaches are used in a myriad of purposes mainly as the ceilings in hangars, bridges, and other buildings. For the further details, check this following list out! King post; this truss is characterized by single central vertical post. The additional parts supporting it include a tie beam as well as two rafters. It is regularly applied in either garage or porch. Queen post; compared to king post, this sort is relatively lighter. It has a slight difference with the first one – it comes with two central vertical posts and similar amount beam and rafter. Fink or double-u truss; it’s known as a truss that a W web configuration. The fink is utilized in both pedestrian bridges and houses. The common one is installed under the bridge deck. Baltimore truss; this kind is well-known for lugging the rail transport. Besides, it becomes a strong addition placed in the lower part in the network of bridge truss. Brown truss; the highlight of this prevalent guy is its diagonal cross compression. It’s linked to stingers (both top and bottom sections). Made up of wooden material, the brown truss is often used in the covered bridge. Howe truss; true to its name, this kind is invented by a person called William Howe. Found in 1840, it is equipped with an M web configuration. Don’t you know that it’s pretty far-famed in the construction of a contemporary rail-road bridge that’s brand new? Cantilevered truss; as its name suggests, this kind of truss is situated on the cantilevered bridge. The interesting fact about this guy is that you will find it standing both in the upper and lower section of the bridge’s main decks. K-truss; the presence of varied triangles highlights this one. The object that resembles a character of K letter is often placed in the center of a structure. Lattice truss; it is teeming with diagonal elements forming a unique shape named lattice. It’s utilized in the making of lightweight structure from multifarious materials like wood and iron. Pratt truss; out of different types of trusses, it is probably the most popular among all. It features diagonal sloping down to the central part of the structure. The design is compatible with a structure created with a span reaching up to 76 meters. Vierendeel trust; why it is considered one of a kind due to the truth that it has irregular types of triangular elements. Instead of using them, vierendeel comes with inflexible rectangular openings. It’s reinforced by other connectors and vital elements. Whipple trust; it’s another variant of Pratt truss. The difference is how is its design goes. It is uniquely equipped with vertical bars connected along with lightweight diagonal members. 5. Is There Anything More as to Trusses Ugly but Fashionable? Sure indeed. If you wish for something elevated, you might have a try on parallel chord roof truss. It is overly recommended to homeowners with a tight budget. The piece made of wood doesn’t require elements like bearing wall and beam. Another benefit is that the parallel chord doesn’t need a larger space in the attic. To get another cool selection, don’t miss out on a north light roof truss. It features good versatility and durability as well. To make a long story short, there is an abundance of types of trusses to choose from. From king post to Whipple truss, each has its own function and unique features. Regardless of your purpose of construction, trusses become an essential part in supporting buildings.